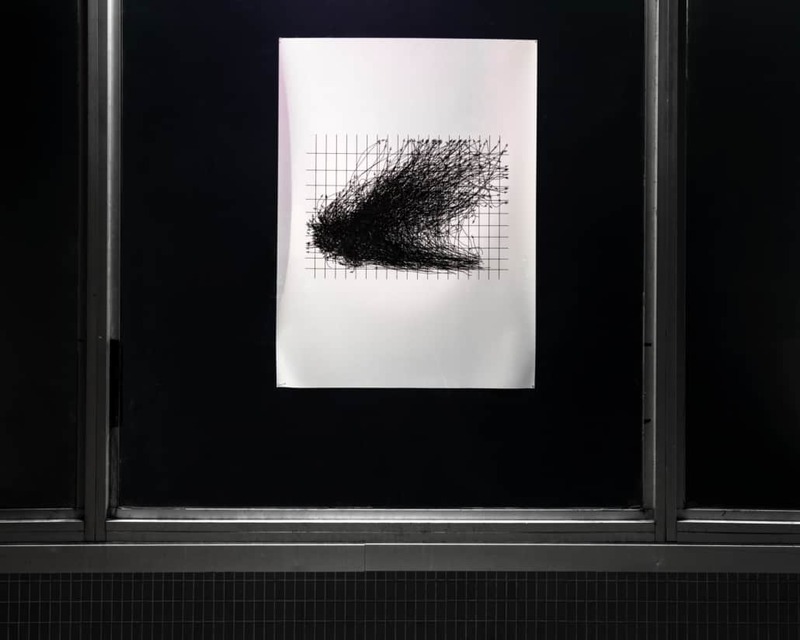 Recorded instance plotted movement expands Collazo-Llorens’ ongoing explorations of mapping, dislocation and navigation. Through her practice, she examines the way in which we perceive and process information, the complexities of the mind in the Digital Age, and the fragmented manner in which we now perceive a world overloading with data. 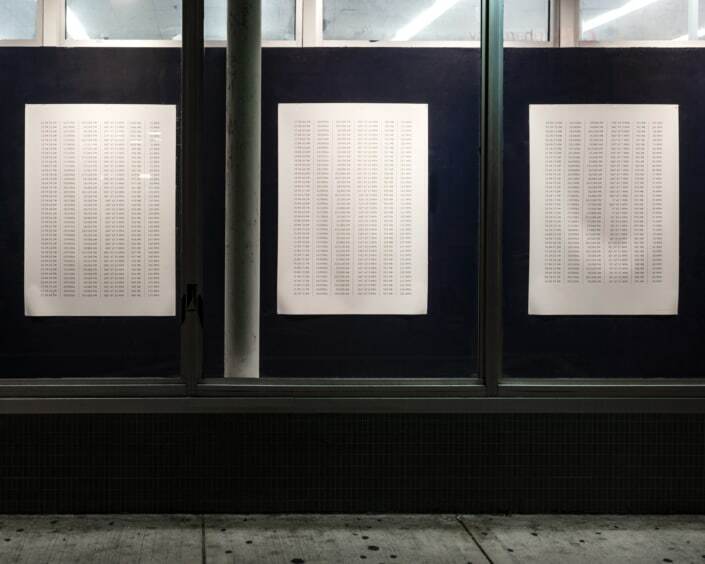 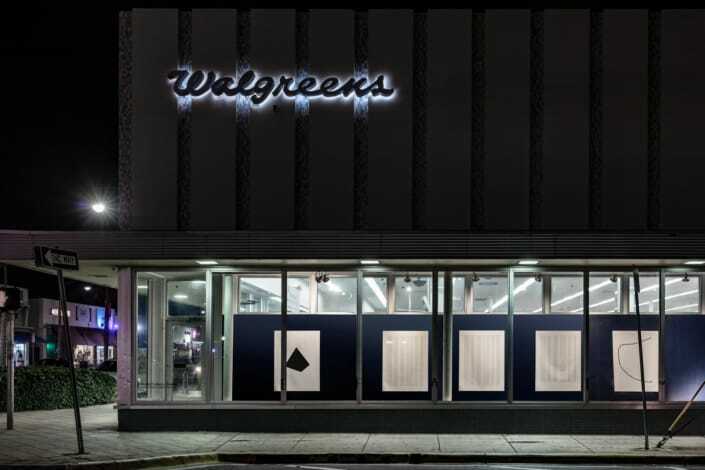 In this installation, data collected from U.S. government archives serve as a starting point for a series of non-objective works printed on paper. Found charts, maps and other documents have been edited into intentionally obscure diagrams and set against a dark blue wall, reminiscent of a night sky, deep space or ocean. 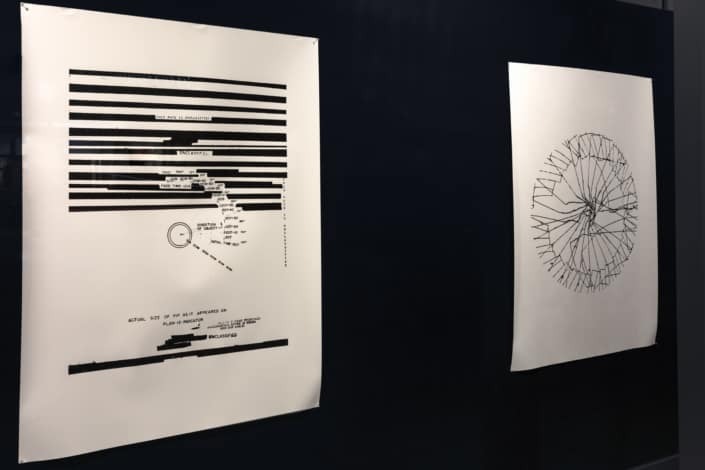 Various types of trajectories, including those of satellites, hurricanes, UFO sightings and walked routes, appear as elusively mapped systems that seem to conceal more than they reveal. 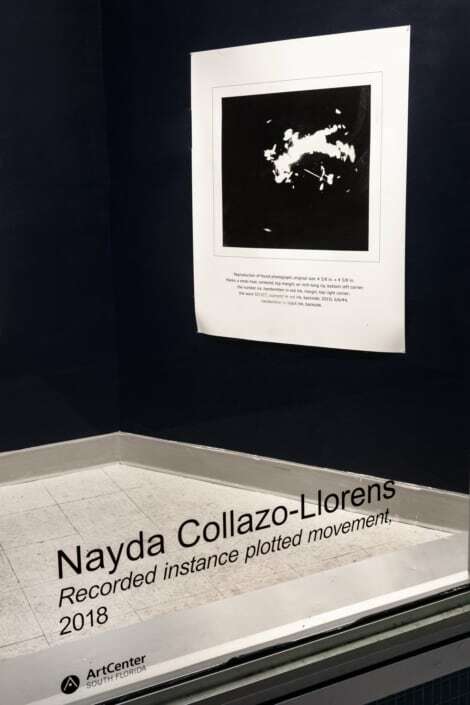 Nayda Collazo-Llorens is a visual artist engaged in an interdisciplinary practice incorporating multiple mediums and strategies. 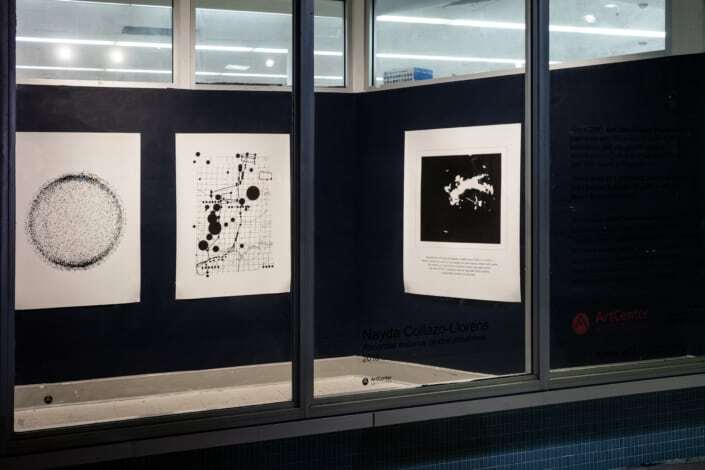 At the thematic core of her work, she examines the way in which we perceive and process information, dealing with concepts of navigation, language, hyperconnectivity and noise in the modern era. Born in San Juan, Puerto Rico, Collazo-Llorens received an MFA from New York University and is a former Pollock-Krasner Foundation Fellow. 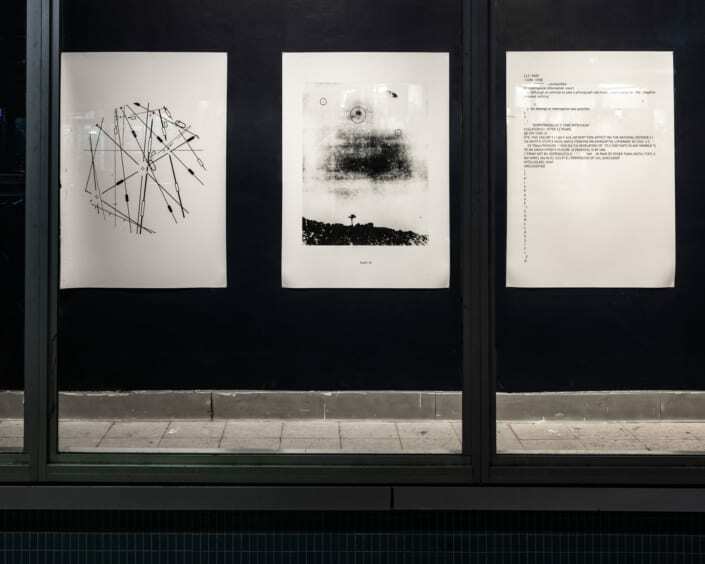 Her work is represented by LMAKgallery, New York.